The finance team at Alma Chrysler Jeep Dodge Ram has decades of experience working with Central Michigan local banks and credit unions including LAFCU Lansing Area Federal Credit Union, Chemical Bank, and Dow Chemical as well as national financial institutions like Huntington Bank, Chrysler Capital and Ally to get you the best possible interest rate on new or used vehicles and term for the monthly payment that works for your budget. We can also make your regular bank compete with the others to make sure you are getting the full benefit of your banking relationship and if there is a better deal out there for you, our experienced finance team will find it. Even if you have a bad credit history, the Alma Chrysler Jeep Dodge Ram finance team has a solution. We work with a number of lenders that specialize in helping our customers rebuild their credit by purchasing quality vehicles that meet their needs and budget, and making timely payments. We are not a buy-here-pay-here lot, instead we work with financial institutions that give you a second chance at becoming credit worthy and creating financial solvency for your future. Don’t settle for less than the best! 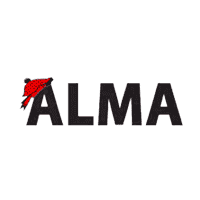 Financing with Alma Chrysler jeep Dodge Ram is fast, easy, and painless because our managers do all the work for you. Simply fill out our credit application and we will work diligently to get you approved at the payment you can afford.